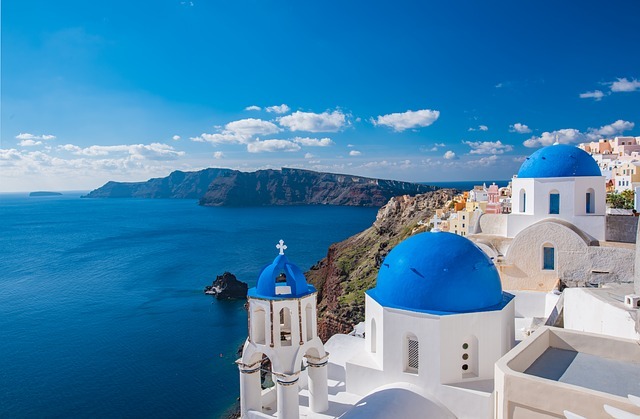 If you are interested in travel, you can be sure that Europe is somewhere at the top of the list for places you would like to visit during your lifetime. But planning a trip to Europe can be overwhelming as there are so many beautiful places to visit and amazing things to do. To get you started I’ve created this epic guide containing over 100 things to see and do in Europe which are perfect for any Europe Bucket List. 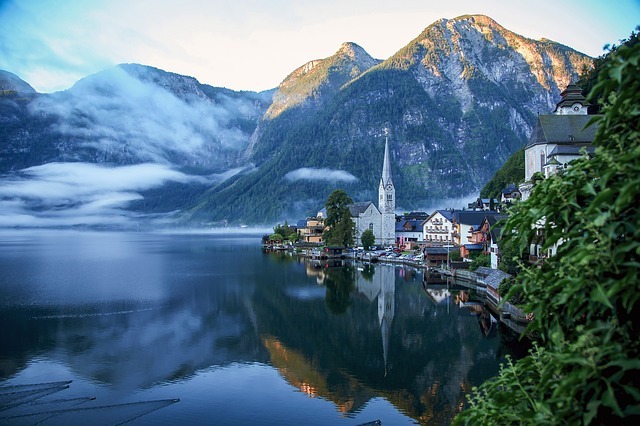 Visit the beautiful fairytale town of Hallstatt. Click here to book a day trip from Salzburg. Take a Sound of Music tour in Salzburg to visit the locations used during the filming of the movie. Explore the spectacular Schönbrunn Palace in Vienna, the former summer home of the imperial family. See the Grand Place, the central square of Brussels. Indulge in some Belgian chocolate. You can also sign up for a chocolate tasting tour or chocolate making workshop in Brussels. Eat a Belgian waffle topped with chocolate and strawberries. Or join a waffle making workshop in Brussels and learn how to make your own Belgium waffles. Visit the beautiful and underrated city of Ghent. Click here to book a day trip from Brussels. See the Last Post at the Menin Gate in Ypres. See the stunning Old Town of Dubrovnik. Explore the pretty city of Split, a town on the Dalmatian Coast, known for its medieval town centre, beaches and stunning nature that surrounds it. Explore the beautiful Plitvice Lakes National Park one of Croatia’s oldest and largest national parks. This UNESCO World Heritage Site can be visited on a day trip from either Split or Zadar. Visit Stari Grad, a fairy tale town on the island of Hvar. It is one of the oldest towns in Europe and a UNESCO Heritage site. Walk around Prague, one of the most beautiful cities in Europe. Don’t miss the famous Charles Bridge. Take a day tour from Prague to Cesky Krumlov, a cute town and home to the largest chateau in the Czech Republic. Its historic centre is a designated UNESCO World Heritage Site. Take a day trip from Prague to the beautiful spa town of Karlovy Vary. Visit the capital city of Helsinki. Stay in a glass igloo hotel and maybe even see the Northern Lights! Visit Lapland, Santa’s hometown and a winter wonderland. Climb to the top of the Eiffel Tower in Paris. See Mona Lisa and other works of art in the Louvre. 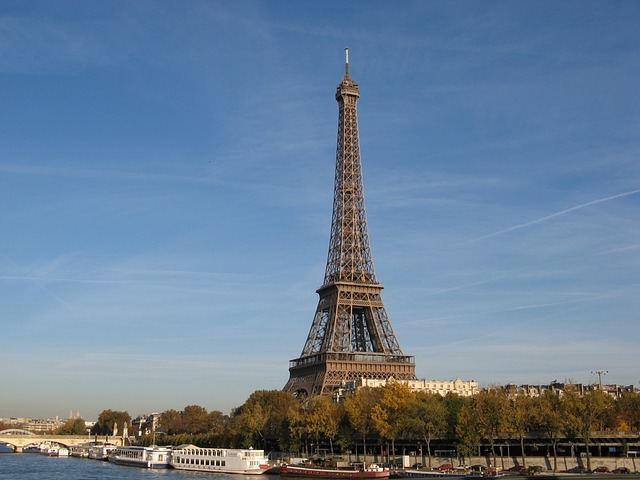 For more things to do in Paris, check out this 4 day Paris itinerary. Take a day trip from Paris to Versailles. Visit the picturesque cities and towns in the Alsace region in north-eastern France. 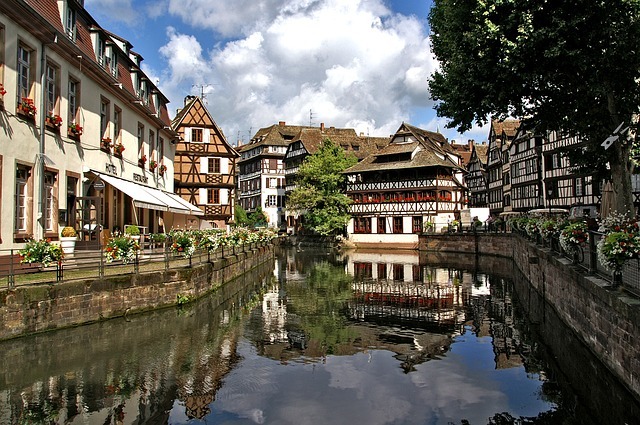 Colmar, Strasbourg and Kaysersberg are at the top of my European bucket list. Climb the Dune of Pilat (the tallest sand dune in Europe) for a panoramic view. It is an easy day trip less than an hour from Bordeaux. Explore some of the beautiful towns and villages in Provence. Run through the lavender fields in Provence. These fragrant and beautiful flowers bloom from June to August. Take a day trip from Nice to the Verdon Gorge, one of Europe’s most beautiful river canyons. Watch the Tour de France. Visit the French Riviera to see how the mega-rich vacation. See the remaining portion of the Berlin Wall. Visit the Brandenburg Gate, a symbol of European unity. Visit Munich during Oktoberfest, the world’s largest beer festival. Have a beer at the Hofbräuhaus, a traditional beer hall in Munich. Visit the beautiful and famous Neuschwanstein Castle in Bavaria. You can visit on a day trip from Munich. Take a road trip on the Romantic Road which takes you to some of the prettiest castles and fairytale towns in Germany including Rothenburg ob der Tauber. Experience the beauty of the Black Forest. Explore the ancient ruins of Athens, including the Acropolis. See the spectacular cliff-top Meteora monasteries. You can visit on day trip from Thessaloniki by bus or Athens by train. Here are more Athens day trip ideas. Watch a play at the ancient amphitheatre of Epidaurus. Performances take place every Friday and Saturday, from the beginning of July to mid-August. Visit the beautiful natural wonders of Melissani lake (a stunning lake inside a cave whose roof fell a few thousand years ago!) and Myrtos beach (some of the bluest waters in the Ionian) in Kefalonia. Soak and relax in the iconic Blue Lagoon, a geothermal spa and Iceland’s most popular visitor destination. Spend some time in the capital of Reykjavík. The Golden Circle is a must when visiting Iceland and includes Thingvellir National Park, Geysir hot spring area and Gullfoss (a beautiful waterfall). This popular tourist route in southern Iceland is easily done as day trip from Reykjavik. There is no shortage of Golden Circle tours out of Reykjavik but some people prefer to visit the area on their own by renting a car. Drive the entire length of Ring Road (Route 1), the main highway in Iceland which runs around the island and connects most of the country, including many major attractions. The entire loop requires at least a week to see it properly but you can drive part of the route if time is more limited (Höfn to Vík is considered one of the most beautiful parts). Visit one or more of the many beautiful Iceland waterfalls. In addition to Gullfoss, which is part of the the Golden Circle route, other amazing waterfalls include Dettifoss (the most powerfull waterfall in Europe), Seljalandsfoss and Skógafoss. See an Icelandic horse up close. These horses are small and cute and can be spotted all around Iceland outside of Reykjavík. You can sign up for a horse riding tour from Reykjavík. Join a puffin watching tour to spot a cute Atlantic puffin. Puffins can be spotted in Iceland from early April until September. Sign up for a Game of Thrones tour to see the filming locations used in “Game of Thrones”. Drink a pint of Guinness in Dublin. Take a day trip from Dublin to Cliffs of Moher. 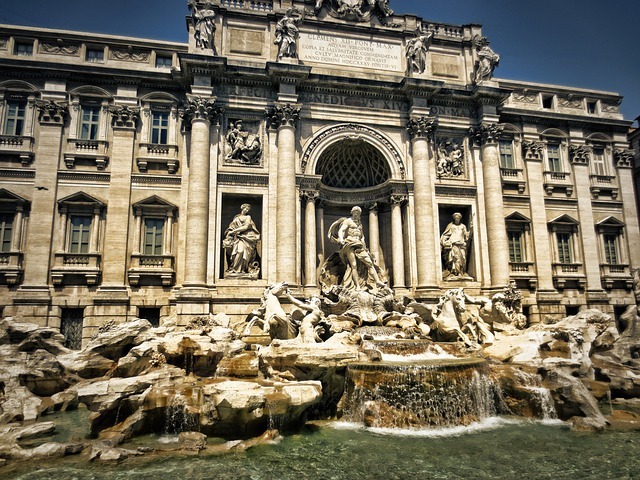 Toss a coin and make a wish at the Trevi Fountain in Rome. Explore the many ancient historical ruins like the Colosseum and the Roman Forum in Rome. Walk around the Vatican and admire the beautiful Sistine Chapel and St Peter’s Basilica. 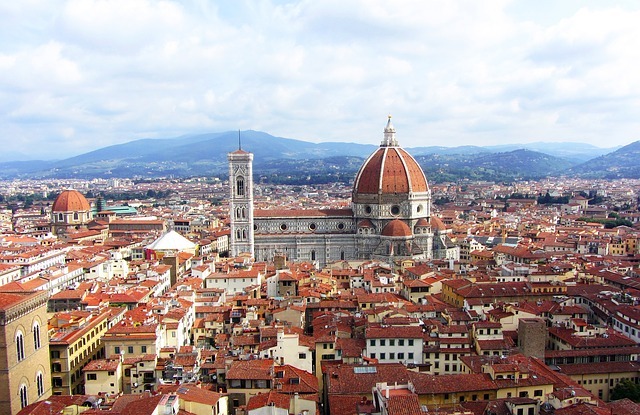 Rent a house in Tuscany and enjoy Italy like a local. Snap a cheesy photo of you holding up the leaning tower of Pisa. 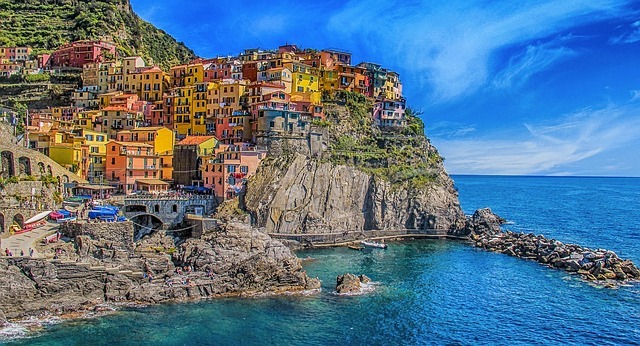 Admire the colorful houses of the five villages of the Cinque Terre. Make a day trip to beautiful Portofino and spot celebrities and millionaires visiting on their megayachts. Drive along the breathtaking Amalfi Coast in southern Italy. Have a Pizza margherita in Naples (the birthplace of pizza). Take a boat into the beautiful Blue Grotto in the island of Capri. Visit the Anne Frank House in Amsterdam. Tickets must be booked online in advance from their website. Walk through Amsterdam’s red light district. Spend some time in one of Amsterdam’s famous coffee shops. Take a day trip to the Keukenhof flower gardens to see the beautiful tulip fields. Keukenhof is only open in the spring (21 March – 19 May 2019). Take a day trip from Amsterdam to the charming little village of Giethoorn known for its waterways, steep wooden bridges and old Dutch farmhouses. Cars are not allowed in the old part of Giethoorn, so the best way to explore Giethoorn is by boat. Take day trip from Amsterdam to the picturesque traditional Dutch village of Zaanse Schans. Here you can find the best deals for Zaanse Schans tours. See the Cube Houses in Rotterdam. See the fjords in western Norway. Hike to Trolltunga. It is a challenging 10-12 hour hike but the views from the top are amazing. Hike to Kjerag and take a picture of the Kjeragbolten boulder. It is a challenging 6 hour hike. Hike to the Pulpit Rock (also known as Preikestolen). This is a more moderate hike but tends to be crowded. If you want to avoid the crowds, you can book a sunset hike. Spot polar bears in Svalbard, a Norwegian archipelago located between mainland Norway and the North Pole, and one of the world’s northernmost inhabited areas. Visit the beautiful capital city of Lisbon. Visit the fairytale town of Sintra, a popular day trip from Lisbon. Visit the unique historic village of Monsanto. Visit the capital city of Bucharest. Visit the picturesque city of Sibiu, a hidden gem in Transylvania. Take a road trip on the Transfăgărășan Highway chosen by the BBC program Top Gear as one of the best road trips in the world. Part of the highway is usually closed in the winter due to snow, so to drive the entire length make the drive between July 1- October 31. If you would rather not do the driving yourself, you can also book a day tour from Bucharest. Visit the picturesque city of Brasov in Transylvania. Visit Bran Castle also known as Dracula’s Castle. Click here to book a day trip from Bucharest. Visit Saint Petersburg in the summer to experience the beautiful White Nights. Pay a visit to the Red Square in Moscow, home to some of the city’s most famous monuments such as Saint Basil’s Cathedral and the Kremlin. Walk around Ljubljana, the stunning capital of Slovenia. Visit beautiful Lake Bled with its iconic lake and backdrop of snow-capped mountains. Click here to book a day trip to Lake Bled from Ljubljana. Admire art at the Museo Nacional del Prado in Madrid. Marvel at the amazing architecture in Barcelona. Party in the popular town of Ibiza. Take part in the La Tomatina festival in the town of Buñol (close to Valencia) where locals and tourists throw tomatoes at each other. It is held yearly on the last Wednesday of August (August 28 in 2019). Pay a visit to the Guggenheim Museum in Bilbao which is known for its modern works of art and great architecture. Visit the underrated city of Ronda, the largest of Andalusia’s many ‘pueblos blancos’ (white towns). Visit the beautiful city of Seville, the capital of Andalusia in southern Spain. Visit Stockholm Palace in Stockholm, Sweden which is one of the largest palaces in Europe. Stay at Icehotel, the world’s first ice hotel in Jukkasjärvi, Sweden. Get your adrenaline pumping at Interlaken, the adventure capital of Europe. Some of the many adventure activities available here include skydiving, hang gliding, paragliding, bungee-jumping, white-water rafting and more. Take the cable car from Zermatt to the highest cable car station to see the Matterhorn. Stand on Jungfraujoch – Top of Europe, a view and adventure platform 3,454 metres above sea level, and enjoy beautiful views of the Alps. Take the famous Glacier Express, a train route along the top of the Alpine range with some of the most beautiful scenery. Explore London, visiting some of its must-see sights like Big Ben, Buckingham Palace, Tower of London, and Westminster Abbey. Visit Windsor Castle most recently in the news as the site of the Royal Wedding. Explore the pretty English villages in the Cotswolds. Click here to book a day trip from London. Explore the Lake District, England’s largest national park famous for its lakes, forests, and mountains (including Scafell Pike the largest mountain in England). Ride the fastest zip line in the world and longest in Europe at ZipWorld in North Wales. Take a trip to Loch Ness in Scotland and try to spot Nessie, the Lochness monster. Swim in the Fairy Pools beautifully crystal clear blue pools in the Isle of Skye in Scotland. Admire the beauty of Giant’s Causeway in Northern Ireland. See the Northern Lights. There are no guarantees but the best countries to spot the Northern Lights are Iceland, Finland and Norway. Take a trip on the Orient Express train. There are several different routes. Go on a cruise on the Danube River. Zipline from Spain to Portugal on the first cross-border zip line in the world. Soak in one of the many thermal baths in Budapest, Hungary. Visit Krakow – one of the best cities to visit in Poland. Visit one of the many Christmas markets in Europe. Visit the town of Monte Carlo in Monaco and hit the casino tables. Visit the beautiful Baltic capitals (Estonia, Latvia, and Lithuania). Marvel at the spectacular Hagia Sophia, one of the best-known attractions in Istanbul, Turkey. Visit the tiny but beautiful country of San Marino and the least visited country in all of Europe. Explore the Faroe Islands, a group of islands in the North Atlantic located between Scandinavia and Iceland, and voted one of the top destinations by National Geographic. So there you have it – the ultimate Europe bucket list. 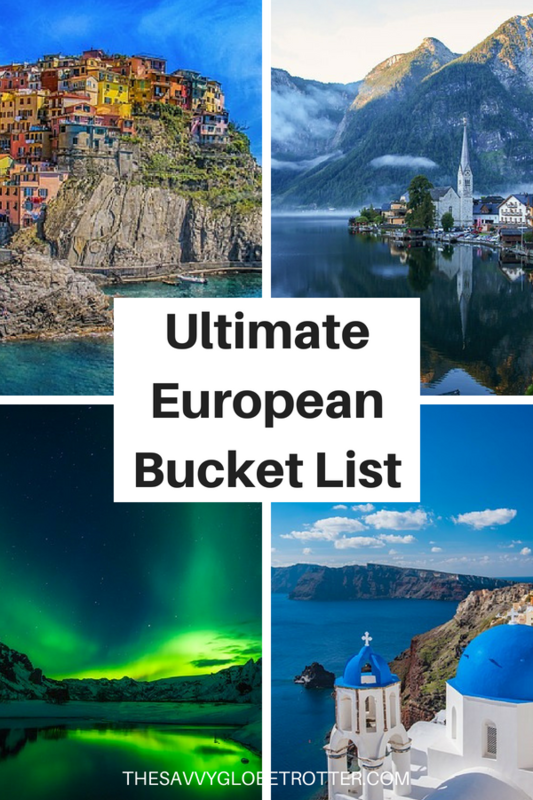 If you any suggestions for bucket list worthy places in Europe I should add to this list, let me know in the comments below. Disclaimer: This post contains affiliate links. This means that should you click on certain links, and then subsequently purchase a product, I will receive a small commission. It costs nothing extra to you but helps keep my site running. Thank you for your support! This extensive list is a proof that Europe is not the size of Eastwood Mall. Hehehe! Kidding aside, we would love to do a European tour. It’s a dream of ours, considering that we’re from the Philippines. Our ultimate European dream is to climb the Alps and the mountains in Scotland. That’s an extensive list of all the European countries I think of visiting. I visited Spain last year and I am glad to find Ronda in your list. This December I head to Iceland and I am certainly going to drive the N1 plus Golden circle is definitely a part of my itinerary apart from other things you mentioned in your list for Iceland. Wow, that is quite a list! You did all of them? I would love to do a Europe tour and visit all these wonderful places. Oh yes, that is a big list. Enough for anyone to find something they like.Happy to see that I have some of those, but many to go. 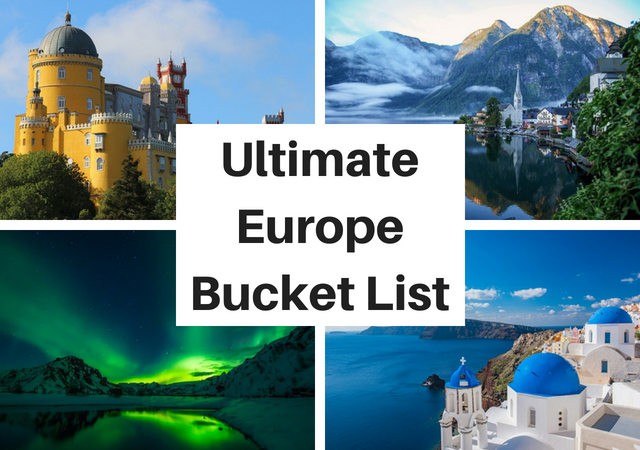 WOW, this is an epic European Bucket List indeed! 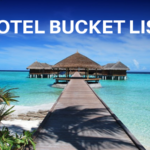 While I’ve been fortunate to check off a bunch of these, so many more are on my Euro Bucket List! And a few I hadn’t considered yet. Thanks! Wow, this is a massive list! This is just what I need for my next trip to Europe. Thanks so much. I’ve pinned to refer back to. What a fantastic list and photos. I am officially saving your page as part of my research because I am going travelling this year so you have given me inspiration.